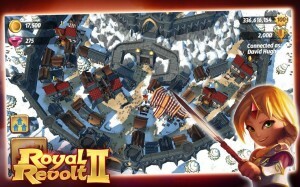 Flaregames’ much loved tower offense game just got a sequel. 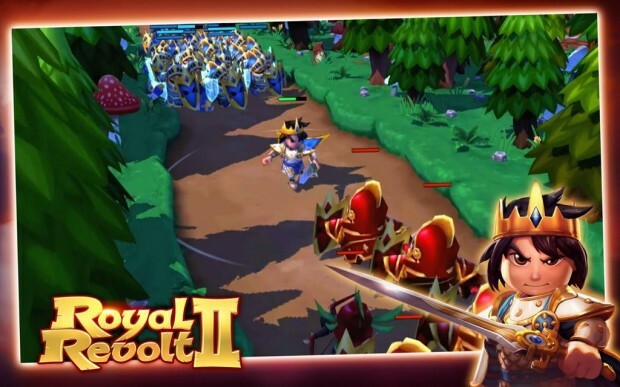 Royal Revolt 2 promises to bring more fun, more battles and much more action compared to its predecessor, according to the Play Store description. For the uninitiated, the game is all about building your castle, setting up your defenses and attacking other players for fame and fortune. 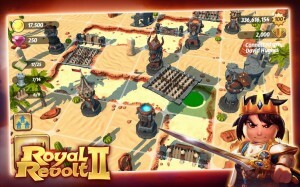 The sequel comes with some innovative features including the ability to play both offense as well as defense, which was not available in the original. Players will be able to customize and upgrade troops, building and magic to strengthen their defenses and safeguard their castle. The game design itself looks gorgeous, with well-detailed environments and beautifully etched characters all set in brilliant 3D. The only unpleasant factor may be the limitations presented by the freemium model. After all, all good gamers wish to play for the sake of a good challenge rather than pay their way to victory and Flaregames may have just crossed that line with RR2. If you are prepared to learn the art of waiting, or if you just don’t care about spending a few dollars and more to steal gold from other players, you can grab Royal Revolt 2 from the Play Store.